Boela Gerber and Warren Ellis. 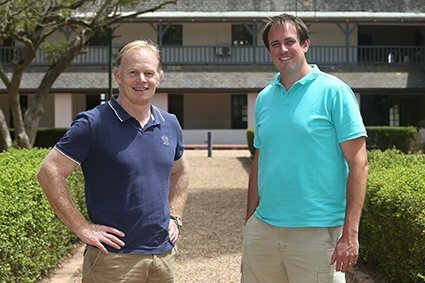 Warren Ellis of Neil Ellis Wines has joined the Cape Winemakers Guild, bringing total membership to 50 (Danie Steytler of Kaapzicht steps down as Producing Member of the Cape Winemakers Guild as of next year). Membership is by invitation only and is extended to winemakers who have been responsible for the production of outstanding wines for a minimum of five years.